Upon arrival at Yangon International airport, welcome and greeting by your guide and transfer to the hotel. Yangon, formerly capital of Myanmar and known as Rangoon, planned and built by the British after the second Anglo-Burmese war in mid-19 century. Therefore, the city is full of impressive colonial and different spiritual heritages making it one of the most fascinating cities in Southeast Asia. Today Yangon is still remaining as commercial city although the authority moved administration capital to Nay Pyi Taw in 2005. Continue your tour venture downtown to explore the city centre for historical buildings and city life of Yangonites. First photo stop in front of the city hall, Maha bandoola garden and Independence Monument, then walk to Sule paya in the middle of the city which is believe to be zero point of Yangon. Afterwards, continue your walking tour passing through many faded colonial and historical buildings. Then visit Little India and Chinatown, a colourful cacophony of restaurants, temples and markets. Finally end the walking tour at Bogyoke Market, formerly known as Scott’s Market, the old locomotive factory as well until 1926.Variety of local products and imported goods are available at your choice. (Note: Market is closed on Mondays and public holidays). After the market, continue the tour to Shwedagon Pagoda, the most revered Buddhist temple in Myanmar and the globe as well. Most Buddhist devotees believe that it was built in the time of Lord Gotama Buddha, more than 2500 years ago; although the origin of the pagoda is unclear. The Pagoda has been renovated several times before taking its current shape in the 15th century. The 76.5 carets diamond on top, More than 80 thousand pieces of different Gems studded and offered at the spire, more than three tons of gold leaf gilded over central stupa; is about 100 metres tall, surrounded by 64 smaller stupas at the upper platform. From Heho airport, a scenic one-hour slightly downhill drive leads to Shwe Nyaung, then to Nyaung Shwe, the gateway village to Inle Lake. Along the way, stop at the wooden Shwe Yan Pyay Monastery of the 19th century which features beautiful carvings and a collection of Buddha images. You may enter the monastery to observe monastics life. Continue the tour and stop in Nyaung Shwe for a short walk around town and visit to the colourful market if it is on the 5 day market rotation date. Upon reaching the edge of canal to Inle Lake, board a private open motorboat to explore. The inhabitants in the lake are known Intha, one of the 135 ethnic peoples of Myanmar. Sail and pass through villages built on stilts over the lake, observe the famous leg-rowing fishermen and see their floating gardens built up from strips of water hyacinth and mud;and anchored to the bottom with bamboo poles. Visit Phaung Daw Oo Pagoda, the lake’s main most holiest sanctuary, home to five sacred Buddha images covered in gold leaf. Explore the local crafts of Inle Lake with a stop at the weaving village of Inpawkhone, where you may see also the lotus fibre weaving, blacksmith, silversmith and a cheroot factory, where traditional Burmese cheroot and cigars are made by hand. Depending on the time permit, stop the boat and enjoy a short walk through one of the lakeside village. After breakfast, visit the lake’s 5day morning market. The market rotates its location around the lake’s villages in a 5-day rhythm and is visited by lake inhabitants and surrounding hill tribes who come to sell and trade their products. (Note: market closed on dark-moon day and full-moon day). From the market, continue down a small canal leading to the Pa-oh village of Indein. 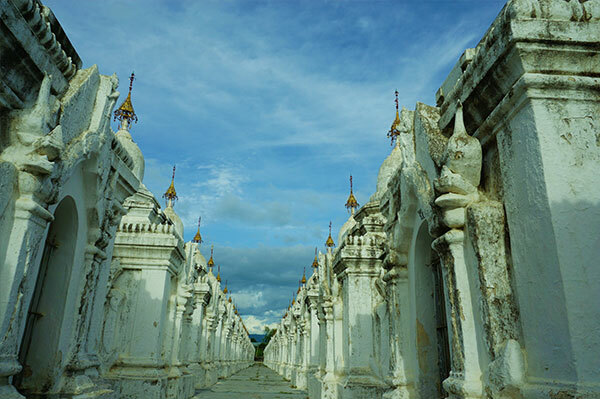 Explore the area on foot, strolling around the village and wandering through the beautiful ancient stupas and temples of Alaung Sitthu of Bagan era. From there, magnificent views of the lake below are unforgettable. After the tour in Indein, sail the same canal then pass through the main lake for additional sightseeing before returning to the hotel. Enjoy sunset from your hotel. Enjoy breakfast at the hotel. Today is your leisure until transfer to airport. Around midday, transfer to Heho Airport for the 30 minutes flight to Mandalay. Upon arrival, transfer to the hotel. (approximately 1 hour drive). After breakfast at the hotel, depart for an excursion to the outskirts of Mandalay to explore the former capitals of Ava, Sagaing, and Amarapura. Today the sightseeing begin with a cross over old Ava bridge, then head up to Sagaing hill;stop at Swan Oo Pon Nya Shin and U Min Thone Sae. Then back from the hill and continue for the market, stop and observe skillfull craft work of pottery,silver smith and other handicraft centres. Then,continue to Ava, Myanmar’s capital from 14th to 18th centuries. First cross over Myitnge river, boarded on a waiting horse cart for a visit to the old wooden Bagaya Monastery and the remains of the Royal Palace and Fort. 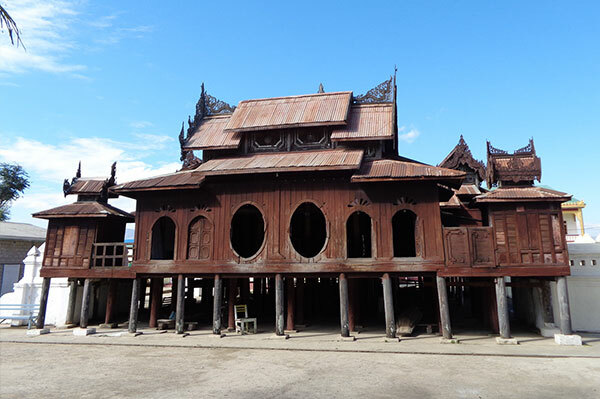 The Bagaya Monestery is constructed with 267 teak posts and embellished with ornate carvings in wood. From here continue by horse cart for leaning watch tower, then to first brick monstery with stucco carvings known as Nanmadaw Me Nu Ok Kyaung. On the way back to Mandalay, stop at Amarapura, a former capital whose name means ‘City of Immortality’. First visit a silk weaving workshop then to U Bein Bridge. 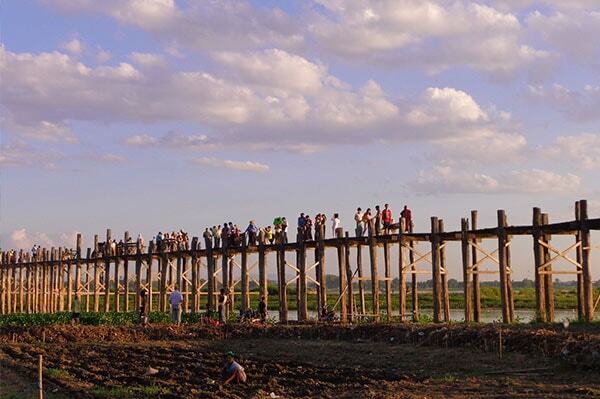 The bridge was constructed from 984 teak posts that were once part of the disassembled Ava Palace and is 1.2 kilometers in length;making it the world’s longest teak wood construction. Enjoy sunset and transfer to your hotel. First visit to the smaller model of the famous Mingun Pahtodawgyi, then to the world biggest and tallest temple to be in ruined;massive and cracked. This huge brick structure was left unfinished after an astrologer predicted the King would die should the temple be completed. The earthquake in 1800 cause damage severely. Continue walking to the great Mingun bell;weight 90 tons, recognised as the world’s largest ringing bell, then continue to the beautiful Hsinbyume Pagoda, whose distinctive style is meant to resemble the mythical Mount Meru. According to the Buddhists’ idea of cosmology, Mount Meru is the centre of the Universe. Next, visit the second holiest of Myanmar, Mahamuni Pagoda. This Buddha image is considered and pay homage as a living Buddha;as washing the face every morning by monk. The worshippers are covering the image with so much gold leaf over and over again for years,so that it has taken on a distinct ‘lumpy’ texture. Continue observing the others activities and displays in the holy compound for extending your own enjoyment. After Mahamuni Pagoda, tour some of the city’s traditional workshops, stone carving, wood carving,tapestry, parasol paper making and gold-leaf beating;using techniques that have remained unchanged for centuries. Continue the tour to Kuthodaw Pagoda, where 729 marble stone slabs of Buddhist scriptures standing as the ‘World’s Biggest Book’. Continue to Shwenandaw Monastery, the only remaining building from the 19th century Royal Palace. This grand teak wood building is known for its exquisite woodcarving, especially depicting the past ten lives of Buddha;display at the prayer hall. 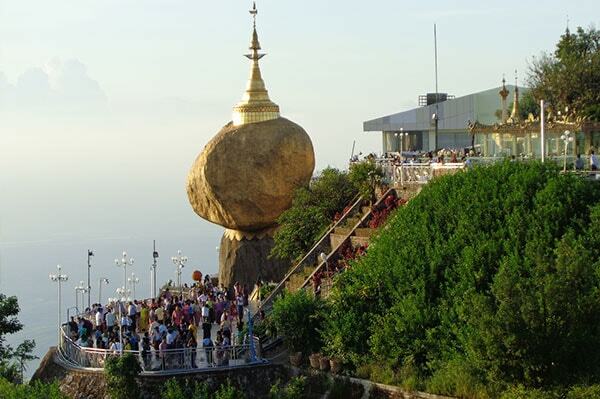 Afterwards, drive to the top of Mandalay Hill, the highest point in the city. From this vantage point, get amazing views of the city below as the sun sets. Return back to your Hotel. After breakfast in the hotel, check out and depart for a 3-hour drive to Monywa, a typical Burmese town on the banks of the Chindwin River, making a few rest stops along the way to for stretching and snapping photos. Return back to Monywa, head to the banks of the Chindwin River for observing the activities of the local peoples and enjoy sun set. After breakfast in the hotel and check out. Depart Monywa and proceed to Po Win Taung and Shweba taung. First arrive at Po Win Taung, the extraordinary complex consists of 947 sandstone caves dug out of the hills and contains what is considered by archaeologists to be the richest collection of mural paintings and Buddhist statues in Southeast Asia. After visiting Po Win Taung, continue next to Shweba Taung. Spend some times for exploring this interesting site where monasteries and temples are carved out of rocky narrow cliffs. Then back from Shweba Taung, then continue down the road to Pakokku. On the way, stop for villages for traditional palm sugar making, incent stick making, then, resume the journey to Pakokku. Visit paper toy making, slipper workshop and blanket weaving if time allowed. Proceed to the jetty and board a private local boat in Pakkoku for a leisurely, two-hour cruise downriver to Bagan. Upon arrival at Bagan jetty, transfer to the hotel. Bagan was the capital of Myanmar from the 11th to 13th century. During this period, there are 11 kings reigned and constructed thousands of huge stupas and temples, among them over 2000 of monuments are still standing today. After breakfast in the hotel, today’s sightseeing begins with Ananda Temple, an architectural masterpiece and one of Bagan’s most beautiful temples, then pass through highest temple Thatbyinnyu for photo stop. Afterwards, head to Myinkaba Village and Gubyaukgyi Temple, well-known for it’s inner wall mural and well-preserved plaster carvings on its exterior. Walk to nearby Mya Cedi compound to see the four in one stone inscription, known as rosetta stone of Myanmar. Next, continue to Manuha Temple and Nan Paya Temple,built by the exile Mon king and his descendents. From here, continue to learn more about the local culture with a visit to lacquer ware and wood crafts workshop. Observe the skillfull craftsmanship of the local people using traditional techniques passed down through generations to create beautiful items till today. Take a break for lunch and return to the hotel for a break. 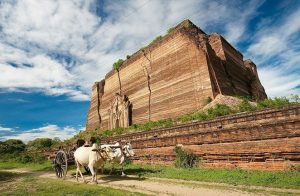 Late in the afternoon, take a relaxing horse cart ride through the temple area, passing many monuments, farms and traditional houses along the way, Finally, a visit to sunset hill from where you will have a panoramic view of the magnificent plains of Bagan. Afterwards, return back to the hotel. After breakfast in the hotel,sightseeing begins with busy local market at Nyaung U where people from nearby villages trading their products. From there, continue to Shwezigon Pagoda, built of sandstone from Irrawaddy river. Within the compound of Shwezigon, you will see the display of 37Nats, one of the ancient belief and practice. Then continue to Kyansittha Umin, Wetgyi Inn Gubyuakgyi which is famous for beautiful mural panting on the inner wall, then continue for photo stop near at Khayminkha, group of monuments in the area collectively standing together. Next continue to Htilominlo Temple which means favour by the umbrella and the king;for its beautiful stucco carving on the exterior wall. Break for lunch and return to the hotel for avoiding the day’s sun heat. 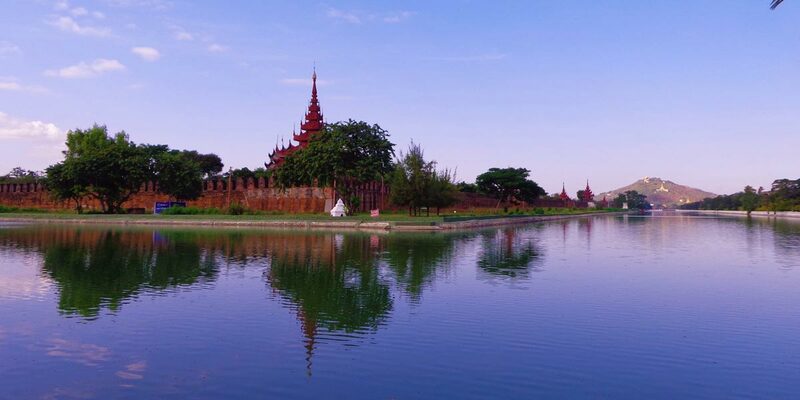 In the afternoon, the tour begins with the massive and biggest temple Dhamayangyi for it brick work, then pass to Sulamani temple for its exterior decoration and 18th century wall painting on its inner wall, then photo stop at among temples and farms with beautiful back ground, then drop off at jetty. Next, board on a boat to enjoy cruise in Ayeyarwady river for sunset. Afterwards, return back to the hotel. After breakfast in the morning, transfer to the Nyaung U Airport for the flight to Yangon. 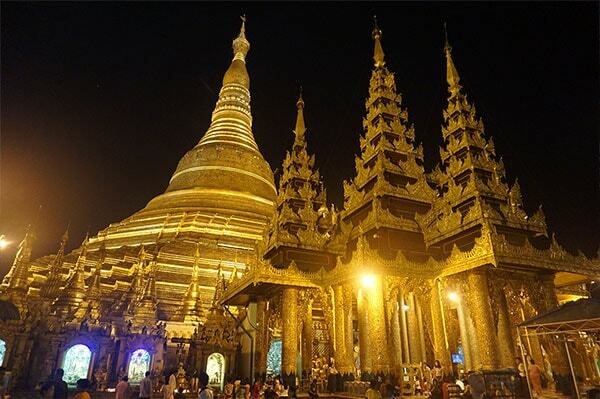 Upon arrival, be greeted and warmly welcome by the guide and driver, then continue today sightseeing for Yangon. Today the sightseeing begins with Kaba Aye Pagoda which means world peace pagoda, next visit nearby man made cave venue used for International Buddhists Council held in 1954,then visit to Chaukhtatgyi Pagoda, reclining Buddha in the midst of monasteries. Then continue to Kandawgyi park where you will see the Royal barge known as Karaweik. Late in the afternoon, visit a biggest vegetable market of Yangon, a bit dirty but real life, then continue to Banana and coconut jetty. Enjoy sunset over Yangon river. Then back to the hotel. Breakfast at the hotel. 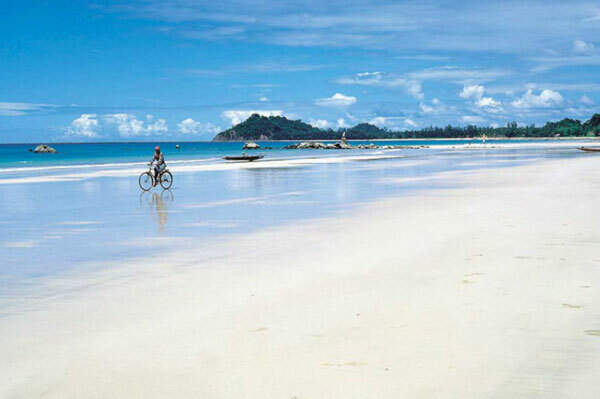 Spend the day at leisure until transferring to the airport for the onward international flight.